Measuring the effectiveness of communications is not always straightforward, but is a vital element of the communication process. There are many methods that can be employed. As a first step you should speak with a communications professional in your company to find out what is available to you. Awareness Was the right message sent at the right time to the right people? Was the message relevant to the audience? Can the audience recall the messages in the communication? Did the audience understand the message and its implications? As a result of the communication are there any comments, concerns or questions? Behaviour Change What action did the audience take as a result of the message? What are people doing differently – more or less of? What made them change their behaviour? Is this a sustainable change in behaviour or just short term? Cost Effectiveness What was the cost of communicating? How much time was spent communicating/organising? What other costs were associated with communicating the message, e.g. venue, equipment, posters, etc.? What was the business benefit for this cost? Which Measurement Method Should You Use? 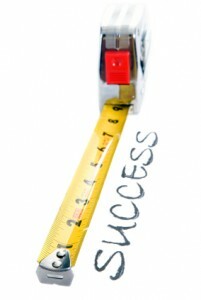 Once you know what you need to measure, you need to think about what method of measurement you want to use. Here are some example methods that are regularly used by large corporate companies. Intranet Quick Poll A quick survey, which consists of one multiple choice question. It sits on a specific web/intranet page giving instant feedback. Gain instant feedback on a particular web/intranet page. Good for measuring what people think about a particular article. Often used by to find out how employees understand high level concepts such as company strategy. Online Survey An electronic survey form with approximately 20 questions that is sent out via email. Gain in-depth feedback – after a conference or about a particular initiative. Questions can be multiple choice, true/false or open ended free form answers. Visitor Statistics Gives you figures for the number of visitors and/or visits to a particular web/intranet page. You can see how many unique visitors and how many hits (where people have re-visited the page more than once). You can also see a range of other data depending upon the sophistication of the analytics software on the the website/intranet. Focus Groups / Workshops Face-to-Face meetings on particular topics with small group of people. Provides qualitative rather than quantitative data. Particularly good for discussing and gathering feedback – in some instances can generate further solutions or identify new gaps in communication. Phone Survey Short phone survey with a random percentage of the employee population. Instant feedback – during conversation you may identify further gaps – a good one to use when measuring the effectiveness of behavioural change. Take Up on Call to Action Quantitative results of action (e.g. number of people emailed who sign up for training). This measures a specific action – e.g. how many people entered a competition. The measure of success is the percentage of the number of people communicated to who complete the required action. Share Your Findings, Recommendations and Take Action! If measurement is the last thing that people think about, sharing the results is what people almost always forget! If you’ve taken the time to measure your communications you should share the findings, make recommendations and take action! Act on the feedback –are there improvements or changes needed? Make improvements and change happen! This entry was posted in Comms Theory, My Work and tagged comms, comms measurement, comms theory, communication, communication measurement, communications, communications theory, employee comms measurement, employee comms theory, employee communication measurement, employee communications measurement, employee communications theory, internal comms measurement, internal comms theory, internal communication measurement, internal communications measurement, internal communications theory, ruth weal, wealie, wealie enterprises ltd. Bookmark the permalink.